Cedi provides ecosystems where entrepreneurs, business owners and investors can collaborate with community leaders, policy makers and citizens to develop innovative strategies, advocate for inclusive policies and network to help drive economic growth in regional economies. Cedi Group Holdings, LLC. 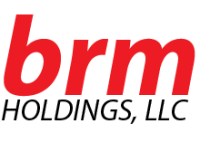 is a wholly owned subsidiary of BRM Holdings, LLC.